1. INDIVIDUALS: Two VIP Tickets for the price of one! If individuals – Use the promo code SER100 and you will get $100 off the VIP ticket price and $50 off the General Admission Price. You can also purchase a Companion Ticket for only $100 making this a Two For the Price of One type of deal! NOTE: When going through the process you will be asked if you want to purchase a Companion Ticket for $100. They are to choose YES – but you will not be charged. If your company or group buys a VIP Table for Six ($1,800) they will get a second VIP Table of Six for FREE! The promo code for that is SER18*Table – all you need to do is enter that promo code when you start your registration. You can then select between regular tables (discounted at $1400) or VIP tables (discounted at $1800). You will then asked for the names of all attendees, their contact information and payment. Buy One Night get Another One Free: Book Friday night at the Hyatt and your Saturday Night will be FREE: This Offer is open to the first 20 people who book and subject to availability. For your convenience the Schachter Energy Conference has arranged a preferred rate at the nearby Hyatt Regency Hotel. Room rates start at $159.00 a night plus tax. 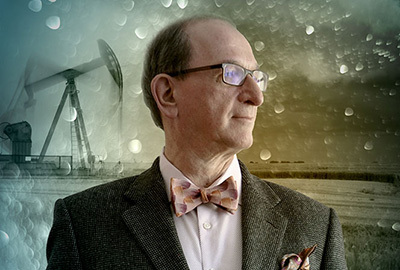 In a bid to educate and assist active individual investors choose the best possible energy sector companies for the new Energy Bull Market that he sees starting at the end of this year, Josef Schachter, author of the Schachter Energy Report, is hosting the ‘Catch the Energy’ Conference, on September 29, 2018 in Calgary. This conference begins with Schachter’s opening presentation on Stock Markets in general and the Energy Market specifically. His believes that one more decline in the price of Crude, to below $US60/d, will clear the way for a vibrant new 3-5 year Energy Bull Market where prices will once again reach the $US100 /b level. Schachter is a regular keynote speaker at the annual World Outlook Financial Conference in Vancouver, and regular commentator on BNN Bloomberg’s Market Call. “It’s a rare thing to find 23 Companies all in one place, making presentations to individual investors,” Schachter said, “and it’s a great opportunity for people to become familiar with the leaders of the companies they want to own.” Schachter uses “People” as a key metric when deciding if he will add a company to his Coverage List of 29 energy and energy service companies. He looks for leaders with experience and a good track record, an executive team prepared to invest in their own business and a team that has the technical expertise to execute and take advantage of available opportunities. Almost all the presenters are the companies’ CEOs, with few exceptions. Presenters are allocated 30 minutes, followed by a moderated Question and Answer period of 15 minutes so there’s ample time to delve into areas of interest by attendees. The presentation rooms will be set with round tables of six so people can spread out and be more comfortable than with the traditional theatre style of seating. Each presenting company will also have a booth in a Trade Show format for more information in a more relaxed setting. Each attendee will be given a Presentation Binder with all the logistics and a copy of every presentation in it. “It’s hard to pick just five presenting companies out of the twenty-three because they are all so appropriate in different ways,” said Schachter. He plans on giving attendees a very brief outline of each company in the morning session, plus what he thinks their strengths are, so the attendees can plan their day to best match their interests. The mix of presenting companies includes Large, Intermediate and Small Cap companies, Domestic and International companies, Energy and Energy Service companies, and those focused on oil, natural gas or both. Industry Leaders and Chief Executive Officers, Michael Binnion of Questerre Energy and Gary Guidry of Gran Tierra Energy will participate in a Panel Discussion during the sit-down luncheon, discussing some of the greatest challenges and changes the Energy Industry faces and then take questions from the audience. Another exciting feature of the Conference is that Michael Campbell, host of the Corus Network’s radio program ‘MoneyTalks’ will be broadcasting his show from the Conference. “MoneyTalks has been a great supporter of ours so it’s particularly nice to have them at the conference,” Schachter added. Ticket sales are open to the public now, with General Admission tickets priced at $299 and VIP Tickets at $399. VIP tickets offer premium seating at the opening and luncheon sessions, plus the VIP/CEO cocktail reception at the end of the day. Tables of Six are available for a discounted price in both General and VIP categories. As an interesting incentive, Conference Planners are offering a second ‘Companion Ticket’ if purchased at the time of registration, for only $100 plus tax. The Hyatt Regency Hotel, which is attached by a ‘plus 15’ to the Telus Convention Centre, is offering a limited number of rooms for only $159.00 (plus tax) to out of town guests. Josef Schachter, CFA, is the author of the newsletter “Schachter Energy Report” and is a frequent/regular guest on BNN Bloomberg, Michael Campbell’s ‘Money Talks’ radio show, and the World Outlook Financial Conference. For more information about the conference, please see https://www.schachterenergyreport.ca/conference-2018.